1.This post can be bound to original situation after receiving bump or hit. 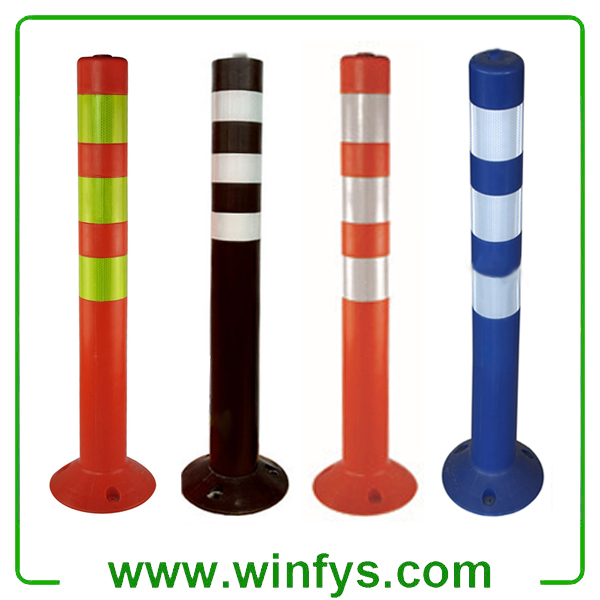 It can warning the drivers effectives efficiently, even if the vehicles bump the warning post. There will not exist the second hurt to people or car. 2.Strikingly color in the day ,and it can reflect dazzling rays of light at night to catch the drivers attention. 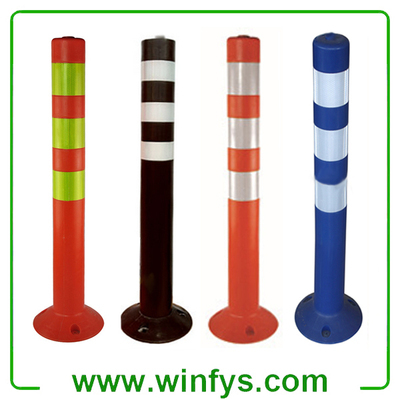 3.It is ideal for traffic delineation,guiding at the gate or road crossing. 4.UV resistant,no fading and ageing. 5.Lastic design means no damage to vehicles when knocked. * Dangerous medians and 'U' Turn etc.